We had such a busy weekend. 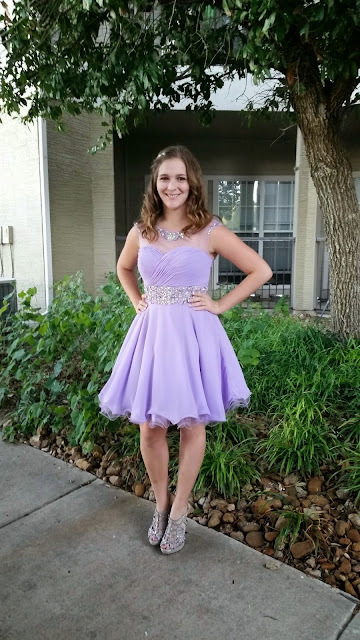 But I did manage to get some sewing done. 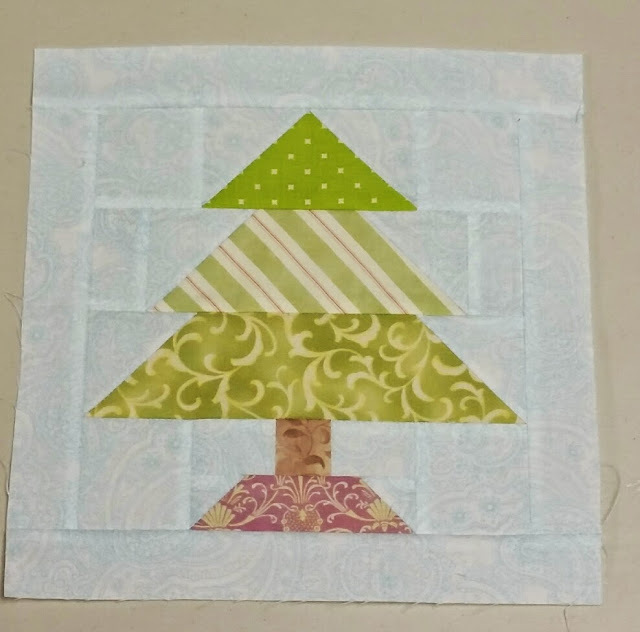 First up, the Christmas Tree block for Lori Holt's Instagram sew along, Have Yourself a Quilty Little Christmas, based from her book, Quilty Fun: Lessons in Scrappy Patchwork . This block isn't in the book, but she gives pretty simple directions for it on Instagram (you can find me via my link in my sidebar). We also made up a set of mittens. These are in her book. 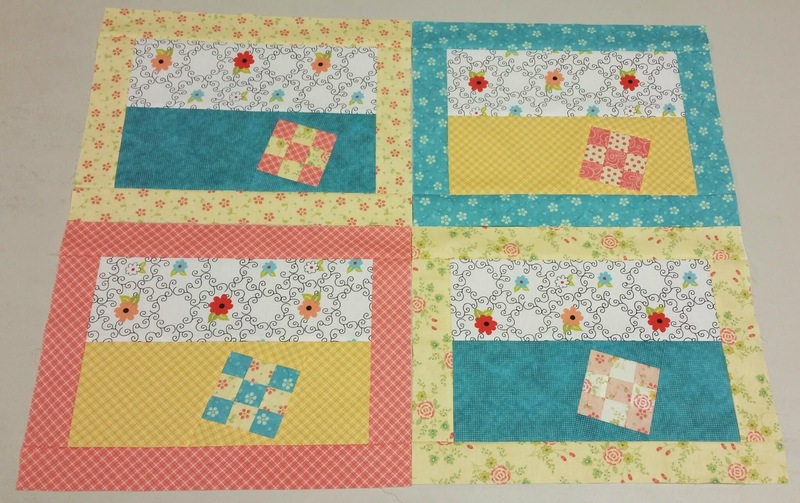 I also managed to sew together to first two rows of my Quilter's Garden swap. 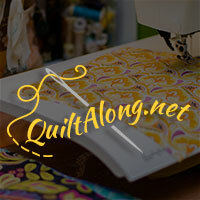 It's being hosted by Deana over at Dreamworthy Quilts. It's not too late to join! The first blocks (the sewing machines and the rotaries in bloom) are available in her etsy shop and if you join now, you'll get the third block, steam that seam, for free. Here's an updated picture of my design wall. It has serious ADD issues this week, but I absolutely love it. And, as if that weren't enough, I got the main part of this month's blocks, Steam that Seam, done last night. 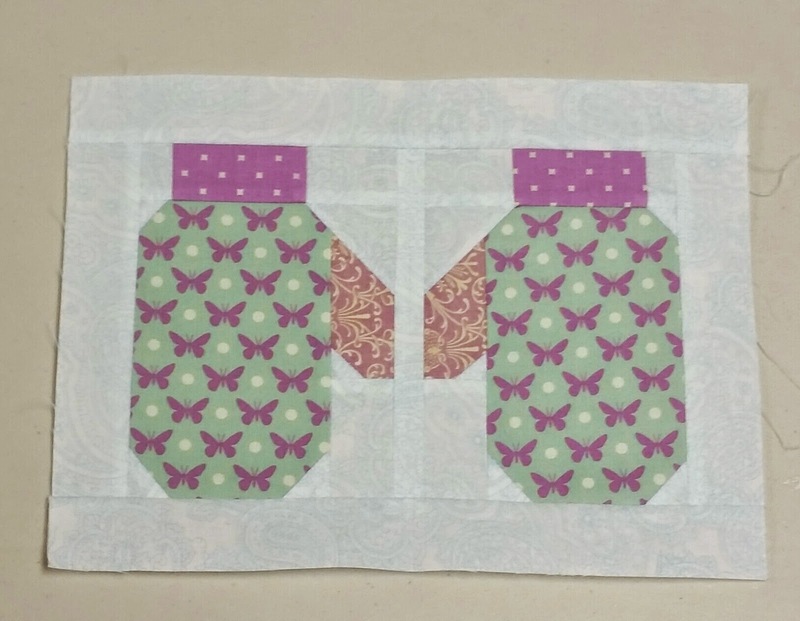 I need to add the corner triangles then do the applique irons. Hopefully I can get to that tonight and have them ready to show you tomorrow. We'll see how much I can get done. I would also like to move on to the next blocks for the zodiac stars. Okay, that's it so far! 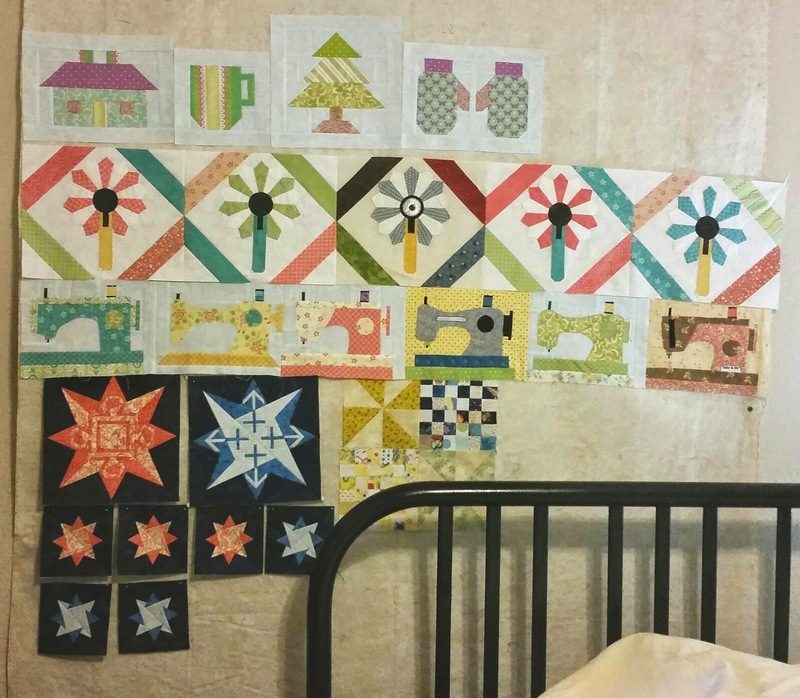 Linking up with Judy at Patchwork Times and Quilt Story. Your design wall is so much fun to look at and those iron blocks are going to be WONDERFUL! I hope I get one.